Mission: Fun and Games: If you think Santa’s Workshop is wall-to-wall fun, sneak a peek at this place. Christmastime means family time, and what better way is there to spend the holidays than huddled up next to the fireplace around your favourite family board game? John Engel is a man who lives for these moments, and it doesn’t take long to realize this when you walk through the doors of his business, Mission: Fun and Games. It’s very likely that at some point during your many trips up and down St. Albert Trail, you have noticed the medieval castle next to Kal Tire and wondered, what goes on in there? The thing is, there’s no one answer to that question. selection of role-playing books and miniatures, as well as a multitude of trading card games and puzzles. 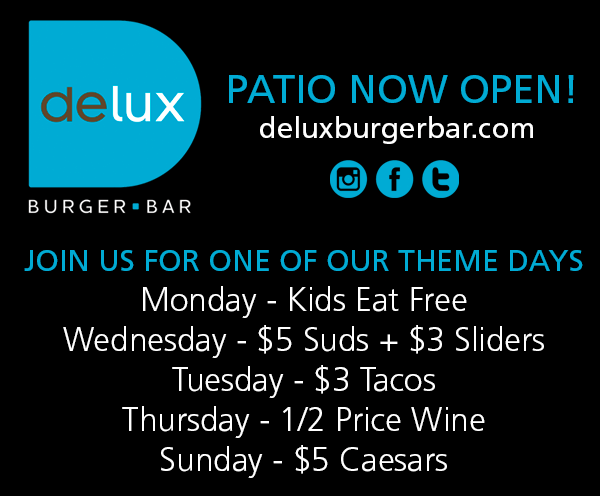 Mission: Fun and Games also hosts a variety of gaming events nearly every day of the week. Since opening in 1990, Mission: Fun and Games has been owned and operated by Engel. In the beginning, the store was primarily focused on renting and selling VHS movies and video games. In 1993, Magic: The Gathering was released, and it marked the transition of Mission: Fun and Games from a movie and video game store to primarily a board game store. “We realized the potential for that game and got our foot in the door,” notes Engel. In 1997, he wisely decided that he didn’t like the foreseen future of the video rental store. So, he sold all of his inventory and became a full-fledged video game and miniatures store. A year later, he would move the business across the parking lot into a much larger location, where it would stay for 15 years before transitioning one last time into its current majestic location in 2012. 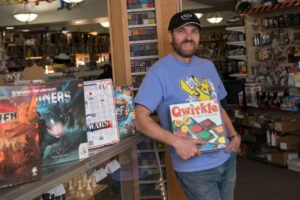 Over the years, Mission: Fun and Games has built a name for itself in St. Albert and Edmonton as the store that carries specialty lines. 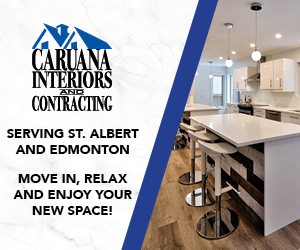 These include Fowers Games, USAopoly, and Unique Wood Products – which are manufactured by a very skilled carpenter in the Edmonton area who makes “fantastic” Cribbage boards, Euchre boards, Canasta Score boards, and Rummy boards. The store also carries a very extensive selection of Cribbage pegs, and is one of the few places that sells dice individually. With Christmas just around the corner, you might also be interested in the store’s new ‘employee pricing’ promo where every two weeks, selected lines are offered to the public for the same “ludicrously cheap” discounted prices that employees have access to. Aside from its seemingly endless stock of merchandise, Mission: Fun and Games hosts year-round events, in store and out. 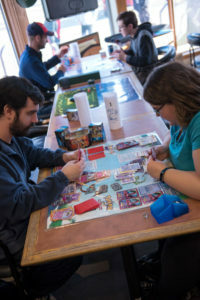 The biggest is Game-A-Lot, which is a two-and-a-half-day board game convention held at The Kinsman Club of St. Albert, which raises funds for local charities supporting families in the community. 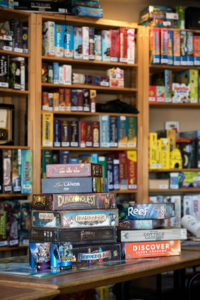 In-store events include: Pathfinder roleplaying on Monday evenings; Magic: The Gathering on Tuesdays and Sundays; Star Trek every second Wednesday; Dungeons & Dragons on Thursdays; the Edmonton Board Game League visits every second Friday; and Pokémon is there on Saturdays.